The Hard Rock brand is an extremely popular brand all across the globe and has the brand power to lure customers with its very name. Florida’s Seminole Indians own the Hard Rock brand and are currently in talks of whether they open out a casino in Atlantic City. The tribe had previously debated this issue in the past and decided against setting up operations in Atlantic City but believe 2015 might be a good time for the Hard Rock brand to launch. More than a year ago, the tribe applied for a “statement of compliance” from the New Jersey Casino Control Commission, which is a mandatory step for obtaining a casino license in New Jersey. The gambling market in Atlantic City experienced a significant decline in 2014 and 4 casinos were forced to shutdown. Industry analysts believe that the gambling industry will continue to decline in 2015 but the Hard Rock owners believe that this year is a perfect time to start construction of a casino in Atlantic City. Back in 2011, the Hard Rock sent across a proposal to construct a “boutique” casino-hotel in New Jersey that will feature a legendary rock ‘n’ roll theme. The proposal included constructing a casino that had only 200 hotel rooms against the stipulated 500 minimum rooms as per New Jersey state law. 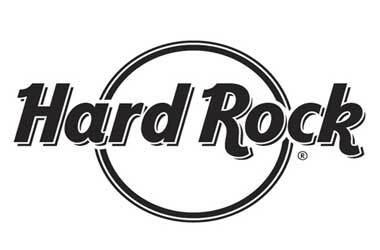 However, the state made an exception and approved Hard Rock’s proposal but in the end Hard Rock pulled out of the deal. The company confirms that it is interested in setting up a casino in Atlantic City and if the New Jersey Casino Control Commission would grant it a license, then it would seriously look at investing and opening out a casino at the earliest. The New Jersey Casino Control Commission is looking for new ways to revive Atlantic City’s gambling industry and will most likely welcome the Hard Rock brand. The Hard Rock has not revealed if it will acquire one of the bankrupt casinos or if has targeted a specific location for construction. remains interested in the Atlantic City casino industry and may, if found qualified, engage in a business or activity that would require the issuance of a casino license. The issuance of a statement of compliance to Hard Rock Atlantic City will enable it to act quickly if an appropriate investment opportunity arises in the Atlantic City casino market.